You may know, if you’ve been reading here long, that there are two preschoolers who live in my house. You may further know, if you have some of your own, how refined and civilized small children are. My god, maybe they were filming a horror flick? This gave me the urge to start a second blog. I thought I would call it “Crooked Pigtails,” and it would be about being a father of two young girls. 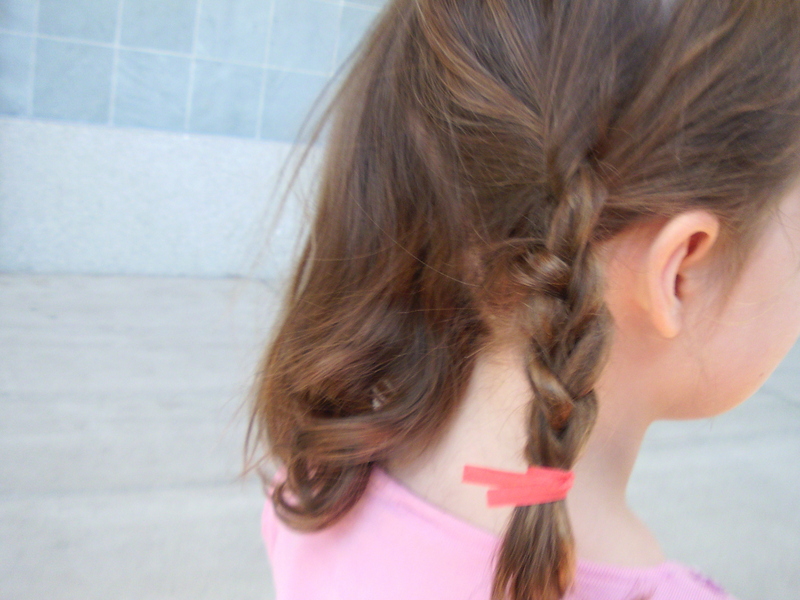 “Crooked Pigtails” would be the name because that describes my efforts to arrange their hair. Twist ties! I was actually thinking of using some of the zip ties I had left over from making the crate bike, but those are way harder to take off. So, that’s a sample of the kind of helpful information “Crooked Pigtails” would offer. But I can hardly keep up with the blog I have, so it’ll have to wait. …and…there are other parenting blogs out there (and there’s http://www.shitmykidsruined.com), but as far as I am concerned you’ve got a damned good Bicling in Eugene blog going, so it’s cool to stay focused. Glad my husband didn’t think of the twist-tie thing. As for the twist ties, I took ’em out before my wife saw them. 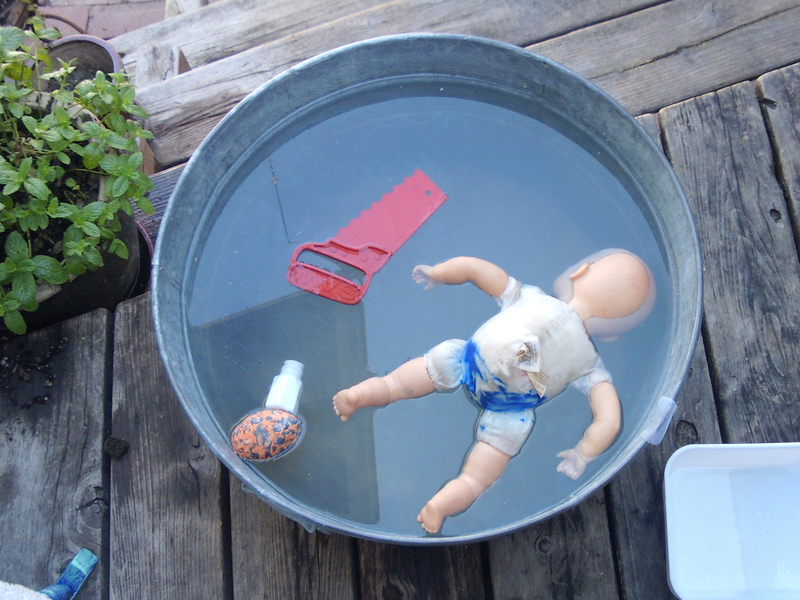 No dummy I.
I love the inclusion of the saw in the tub. It’s a good thing it’s a handsaw or it would have shorted out – which makes me wonder: do they make toy power saws?